An Australian television and film actor, Heath Ledger was born in Perth, Australia to Sally Ledger and Kim Ledger. He died on 22 January 2008 due to an accidental overdose of a combination of prescription drugs. He is best remembered for his powerful performance as the psychopathic clown in Christopher Nolan’s, ‘The Dark Knight’. Among many other awards, he won the Oscar for this performance and this posthumous award was accepted on behalf of him by his family. Heath Ledger always made a conscious effort to fight being typecast and consistently experimented with different kinds of roles. His interest in acting is said to have found its roots during his junior high days. When asked to choose between the two electives of cooking and acting, Ledger chose acting. From then on, he felt that this was his calling and decided to pursue a career in it. At the age of 16, he and his friend Trevor Dicario drove across Australia from Perth to Sydney, hoping to get that big break in the movies. Despite his efforts, Ledger did not get this lucky break and finally, returned to Perth to star in a T.V. series called ‘Clowning Around’ in 1992. His next role was that of a gay cyclist in the T.V. series called ‘ Sweat’ in 1996. From 1993 to 1997, Ledger starred in some roles in Australian television. These include his part in the fantasy drama, ‘Roar’ in 1997 and ‘Home and Away’, one of Australia’s successful T.V. shows. He made his film debut in 1997 in the Australian film, ‘Blackrock’. Ledger has starred in a total of 19 films and some of his memorable performances include his roles in ‘Brokeback Mountain’, ‘The Dark Knight’, ‘The Patriot’ and ‘Monster’s Ball’. In addition to his acting, he produced and directed music videos and aspired to be a film director. Heath Ledger essayed the role of Ennis Del Mar in the movie, ‘Brokeback Mountain’ in the year 2005. He won the 2005 New York Film Critics Circle Award for Best Actor and the 2006 Best Actor award from the Australian Film Institute. He was also nominated for the 2005 Academy Award for Best Actor as well as the 2006 BAFTA Award for Best Actor in a Leading Role for the same performance. After ‘Brokeback Mountain’, Ledger costarred with fellow Australian Abbie Cornish in the 2006 in an Australian film titled, ‘Candy’, an adaptation of the 1998 novel, ‘Candy: A Novel of Love and Addiction’. Posthumously, he shared the 2007 Independent Spirit Robert Altman Award with the rest of the ensemble cast, the director, and the casting director for the film, ‘I’m Not There’. This film was inspired by the life and songs of American singer-songwriter, Bob Dylan. In the film, Ledger portrayed a fictional actor named Robbie Clark, one of six characters who embodied aspects of Dylan’s life and persona. Ledger was most appreciated for his portrayal of the psychotic joker in ‘The Dark Knight’. He posthumously won the Academy Award for Best Supporting Actor, a Best Actor International Award at the 2008 Australian Film Institute Awards (for which he became the first actor to win an award posthumously), the 2008 Los Angeles Film Critics Association Award for Best Supporting Actor, the 2009 Golden Globe Award for Best Supporting Actor and the 2009 BAFTA Award for Best Supporting Actor. Heath Ledger died at the age of 28, from an accidental overdose of a combination of prescription drugs. Ledger’s death came during editing of ‘The Dark Knight’, casting a shadow over the subsequent promotion of the $180 million film. At the time of his death, on 22 January 2008, he had completed half of his work in playing the role of Tony in Terry Gilliam’s forthcoming film, ‘The Imaginarium of Doctor Parnassus’. Here are some more interesting trivia information about Heath Ledger. One of the godparents of Ledger’s daughter is Jake Gyllenhaal (co-starred with him in ‘Brokeback Mountain’). 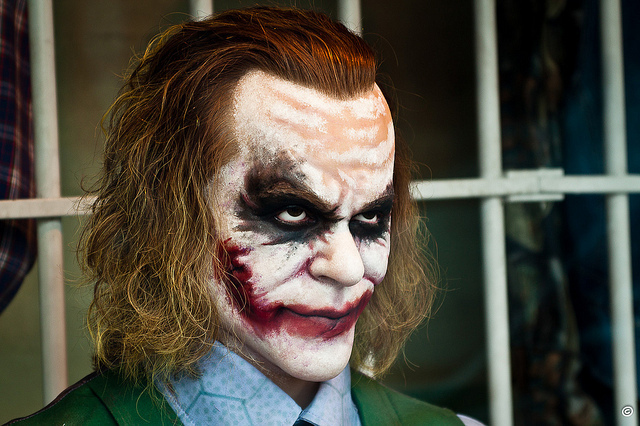 Ledger chose to drop out of the movie ‘Austraila’ and played the role of the joker in ‘The Dark Knight’. He was a great fan of Johnny Depp and always made an effort to fight being typecast. He has acted with both Jake Gyllenhaal and his sister, Maggie Gyllenhaal, in two of the most significant roles of his career. His favorite food was risotto. Heath Ledger was a passionate actor who showed great promise. Unfortunately, he died at the age of 28, just when he was beginning to get the recognition due for his talent. His movies and performances will continue to live on, despite his rather sudden and tragic demise.